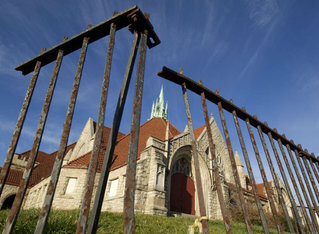 The terra-cotta roof and sprawling stone building are iconic in Chester, a sign on East Ninth Street of the city’s prosperous past.The red wooden doors of the 120-year-old building are now warped, and its windows are boarded up. The historic Third Presbyterian Church could face the wrecking ball – unless a local preservation group is able to save it and raise enough money to restore it.To the Presbytery of Philadelphia, the building is a crumbling liability. 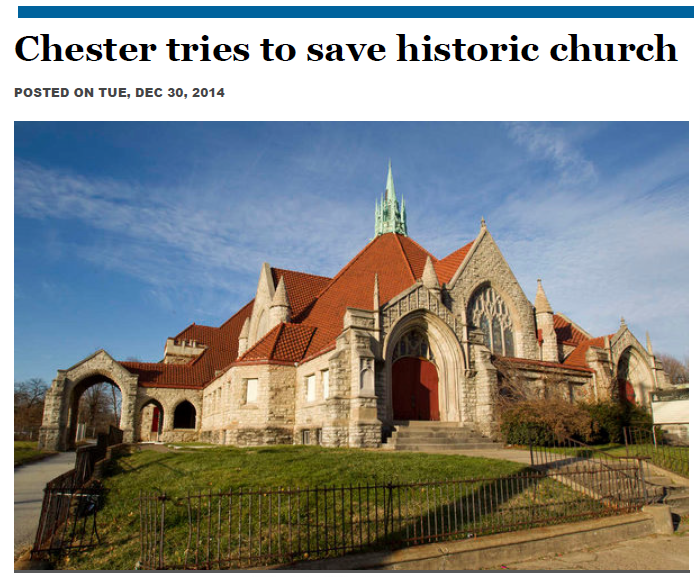 To the Chester Historical Preservation Committee, it is a local landmark that must be restored. And to some Chester officials, it is a wake-up call that the city should consider protecting its oldest buildings. A contractor was ready to begin demolition this month. But that has been put on hold. Discussions are underway for the presbytery, which owns the building, to transfer the property deed to the Chester Historical Preservation Committee. Davis said last week that the presbytery was willing to transfer the property to the Chester Historical Preservation Committee at little or no cost. The preservation group talks about raising money, applying for grants, and working with other local organizations to save the church. Guleke said his organization would remain owner of the church but would hope to rent its Sunday school rooms as office space and use the sanctuary as a theater.Meanwhile, Chester will consider adopting an ordinance to protect its oldest buildings from demolition. Approximately one-third of municipalities in Southeastern Pennsylvania require additional hearings and reviews before historical buildings are demolished, said Charlie Schmehl, vice president of the Bethlehem-based Urban Research & Development Corp.
“Most communities do something after they have a major loss,” said Schmehl, who is working as a consultant to help Chester rewrite its zoning code. “More and more are adopting demolition controls.”Davis said the presbytery had tried to discuss the future of the building with city officials for years but received little attention until they asked to demolish it. Linder said he hoped that restoration efforts could be paired with new development on empty land nearby. But for now, the church’s future remains uncertain.